Programme to include Beethoven's Mass in C Minor. Gravesham Choral Society. Recital with harpsichordist Julian Perkins for friends of Handel House Museum. Free lunchtime recital with Will Vann, Piano. Programme includes songs by Schubert, Poulenc and Strauss. 'Song of the Angel'. An evening of ethereal and festive music by composers including Handel, Telemann, Bach, Arvo Pärt and Tavener. Lancashire Sinfonietta, directed by Andrew Watkinson. ‘Song of the Angel’. An evening of ethereal and festive music by composers including Handel, Telemann, Bach, Arvo Pärt and Tavener. Lancashire Sinfonietta, directed by Andrew Watkinson. With the Baroque Collective and Purcell Singers. Euridice/ Ninfa in Monterverdi's 'Orfeo'. Conducted by Christopher Bucknall, directed by Daisy Evans. 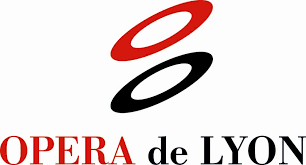 Workshops with Opéra de Lyon ahead of June/July production of 'Die Zauberflöte'. Recital as part of St. Giles' Cripplegate Concert Series. Programme to include Schubert's 'Der Hirt auf dem Felsen'. A recital of flower songs with pianist Joseph Middleton. Programme to include songs by Schubert, Strauss, Debussy, Delius, Bridge and Richard Rodney Bennett. Recital with Jonathan Sells, (baritone), Timothy Orpen (clarinet) and Will Vann (piano) as part of the London English Song Festival. Programme to include songs by Britten, Howells, McCabe, Finzi and Vaughan Williams. Role of Papagena/ Erste Dame (production double cast) in 'Die Zauberflöte'. Chorus and orchestra of Opéra de Lyon. Conducted by Stefano Montanari, directed by Pierrick Sorin and Luc de Wit. Soprano soloist in staged production of Handel's 'Messiah' as part of the Bristol Proms. Conducted by Simon Over and directed by Tom Morris. With soloists Catherine Wyn-Rogers, Andrew Tortise and Neal Davies, the Southbank Sinfonia and Erebus Ensemble. Recital with baritone Benjamin Appl and pianist Sanaz Sotoudeh as part of the 2013 Machyllneth Festival. Programme to include songs by Schubert, Strauss and Wolf. Role of Pamina in 'The Magic Flute'. An Opera Project production, conducted by Jonathan Lyness and directed by Richard Studer. 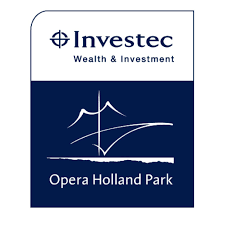 An evening of opera and oratorio as part of the Two Moors Festival. With Charlotte Stephenson (mezzo soprano), Christopher Diffey (tenor), Callum Thorpe (bass baritone) and Anna Tilbrook (piano). Workshops at La Ferme aux Arts, Bourgogne, ahead of 2014 production of 'Peter Grimes' with Opéra National de Lyon. With the Altrincham Choral Society, conducted by Steven Roberts. With the Nottingham Harmonic Choir, conducted by Richard Laing. Recital with pianist Joseph Middleton. The programme will be a dry run for the duo's debut recital album and will include works by Wolf, Strauss, Poulenc, Koechlin, Muriel Herbert, Elizabeth Maconchy, Rhian Samuel and Cheryl Frances-Hoad. Free admission with a retiring collection. Aldeburgh Music Residency with pianist Joseph Middleton to record debut recital CD. With the Malcolm Sargent Festival Choir and Southbank Sinfonia. Conducted by Simon Over. Role of First Niece in 'Peter Grimes'. Conducted by Kazushi Ono and directed by Yoshi Oida with the chorus and orchestra of Opéra National de Lyon. Song recital as part of the Festival Britten with soprano Laure Barras and pianist Jamal Moqadem. Programme to include works by Purcell and Britten's 'On this Island' and 'The Poet's Echo'. With the Exeter Philharmonic Choir, conducted by Andrew Millington. Role of Norina in Donizetti's 'Don Pasquale'. An Opera Project production, conducted by Jonathan Lyness and directed by Richard Studer. Role of Norina in Donizetti’s ‘Don Pasquale’. An Opera Project production, conducted by Jonathan Lyness and directed by Richard Studer. 'Under the Hat': A celebration of the music of Donald Swann. With Benjamin Hulett (tenor) and Christopher Glynn (piano) as part of the Ryedale Festival 2014. Strauss 'Tod und Verklärung'; Elgar Cello Concerto; Fauré 'Requiem'. Royal Liverpool Philharmonic Orchestra and Choir, conducted by Yan Pascal Tortelier (cello - Daniel Müller-Schott; baritone - Christopher Purves). Liverpool Catholic Cathedral. Britten 'Rejoice in the Lamb' & 'Ceremony of Carols'; Poulenc 'Quatre petites prières de Saint François d'Assise'. Soprano soloist with Le Cantrel de Lyon, conducted by Hugo Peraldo. Abbaye d'Ainay, Lyon. Role of Ein Mädchen in 'Die Gezeichneten' by Franz Schreker with the orchestra and chorus of Opéra National de Lyon. Directed by David Bösch, conducted by Alejo Perez. Solo recital with pianist Marieke Hofmann as part of 'Le Festival des Jardins Mystérieux', l'Amphithéâtre de l'Opéra de Lyon. Role of Susanna in Opera Project's production of 'The Marriage of Figaro' for West Green House, Hampshire. Directed by Richard Studer, conducted by Jon Lyness. Recital with Will Vann, piano. Programme to include works by Grieg, Rodrigo and Tosti. An evening of food and music from the Victorian era as part of The Two Moors Festival. Programme to include works by Mendelssohn, Squire, Sullivan, Léhar and Millocker. With baritone Henry Neill and pianist Harvey Davies. Popular operatic favourites by Mozart, Rossini and Puccini as part of The Two Moors Festival. With mezzo soprano Yvonne Howard, baritone Henry Neill and pianist Harvey Davies. Recital as part of The Two Moors Festival with Yvonne Howard (mezzo soprano), Matthew Hunt (clarinet), Kay Stephen (viola) and Harvey Davies (piano). Repertoire by Schubert, Brahms and Schumann. Recital with Marieke Hoffmann (piano). Programme to include songs by Fauré, Poulenc, Schubert and Strauss. Role of Barbara in 'Eine Nacht in Venedig' by Johann Strauss II with the orchestra and chorus of Opéra National de Lyon. Directed by Peter Langdal and conducted by Daniele Rustioni. Performance as part of 'Soirée Rejoice' with the theme 'It's a woman's world'. An enchanting evening of musical discovery led by Guillaume Huret. Venues: Auditorium de la SACEM and Goethe Institut, Paris. An enchanting evening of song with Marieke Hofmann, piano. A programme in five acts incorporating music by Nadia Boulanger, Debussy, Fauré, Clara Schumann and Strauss with videos by Anouar Brissel and choreography by Aude Cortes. Salle Molière, Lyon. Recital at Imperial College London with Joseph Middleton, piano. Programme to include songs by Hahn, Poulenc and Strauss. Role of Glaša in Káťa Kabanová by Janáček. With Opéra National de Lorraine in Nancy. Directed by Philipp Himmelmann, conducted by Mark Shanahan. Private recital in Somerset with Libby Burgess, piano. Programme to include 'Scena di Berenice' by Haydn, 'King Harald's Saga' by Judith Weir, 'Five Larkin Settings' by Huw Watkins and 'Two Shakespeare Songs' by Cheryl Frances-Hoad. Series of opera galas aboard Viking Orean traveling from Ho Chi Minh City to Singapore. With Charlotte Stephenson mezzo-soprano, Cameron Rolls tenor, David Stephenson baritone and Christopher Gould piano. With Stéphane Moriou, keynote speaker. Private concert with the baroque ensemble Le Concert de l'Hostel Dieu, directed by Franck-Emmanuel Comte. Programme includes works by Vivaldi. Lecture - recital with Franck-Emmanuel Comte, harpsichordist and director of Le Concert de l'Hostel Dieu as part of the convention Lyon Forum 2018. Programme to include works by Vivaldi, Purcell and Handel. Voyage en mer : song recital with works by Bizet, Fauré, Poulenc and Strauss. With Marieke Hofmann, piano. Free recital with limited tickets - if you would like to attend, please send a message via the Contact Page. With keynote speaker Stéphane Moriou, CEO of MoreHuman Partners. Recital with Hager Hanana, cello and Marieke Hofmann, piano, as part of 'Les journées culturelles de Carthage' at La cité de la culture, Tunis. Programme to include works by Debussy, Fauré, Gounod, Massenet, Previn and Villa-Lobos. With Stéphane Moriou, keynote speaker and Franck-Emmanuel Comte, conductor and director of the baroque ensemble, Le Concert de l'Hostel Dieu. Private event for sponsors. Programme to include works by Barbara Strozzi, Purcell and Handel. Concert of Viennese operetta arias and duets, including excerpts from 'Eine Nacht in Venedig' by Johann Strauss II. With Bonko Karadjov, tenor, Graham Lilly, piano, and Nicolas Gourbeix, violon. 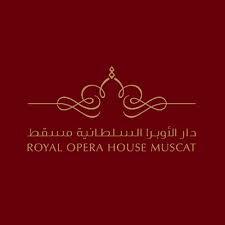 With Royal Opera House Muscat in conjunction with Opéra de Lyon. Gala performance of operatic arias by Mozart, Puccini and Gounod for a private function at Opéra de Lyon. With Justine Eckhaut, piano. Song recital with Will Vann, piano. With works by Schubert, Clara Schumann, Wolf, Muriel Herbert and Cheryl Frances-Hoad. 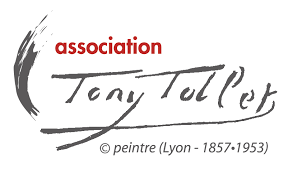 Recital with arias by Handel, Mozart, Puccini and Gounod as part of Le Grand Prix Tony Tollet 2019 (invitation only). With pianist Justine Eckhaut. 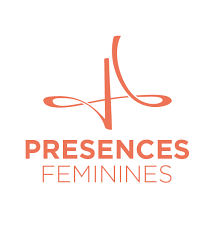 Recital to mark the opening of the 'Festival Présences Féminines 2019'. With Nicolas Jouve, piano. With music by Clara Schumann Op.12, Ethel Smyth Op.4, Dame Judith Weir 'King Harald's Saga', Muriel Herbert 'To Daffodils', 'Cradle Song' and 'Renouncement' and Cheryl Frances-Hoad 'Two Shakespeare Songs'. Song recital as part of the 'Festival Mille Langues en Musique' with Justine Eckhaut, piano and also Stephanie Varnerin, soprano, Rosemay Dauvin-Magnan, mezzo-soprano, Sébastien Romignon Ercolini tenor and Claire Laplace, piano. In conjunction with Un pas de conduite/ John Dauvin. 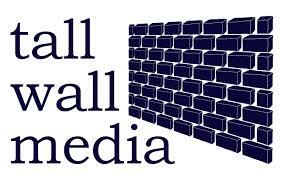 Further details (time, programme, box office information) to follow.